Nebuchadnezzar was a mighty king—mighty big for his robes. And he would pay for his pride, though Daniel had warned him, begged him to repent and show mercy to the oppressed. Jesus too was a mighty King, teaching with authority and even performing miracles. But his greatness was not so much in his teaching—magnificent as it was—nor in his miracles—astonishing as they were. His greatness was and is in his love of humankind, a love so powerful that he came to earth to be the atonement for our sins. Jesus is the love of God, unmistakably bestowed on the world for the salvation of all who believe. Because this kind of great and selfless love is from God, whoever knows God must also love others. 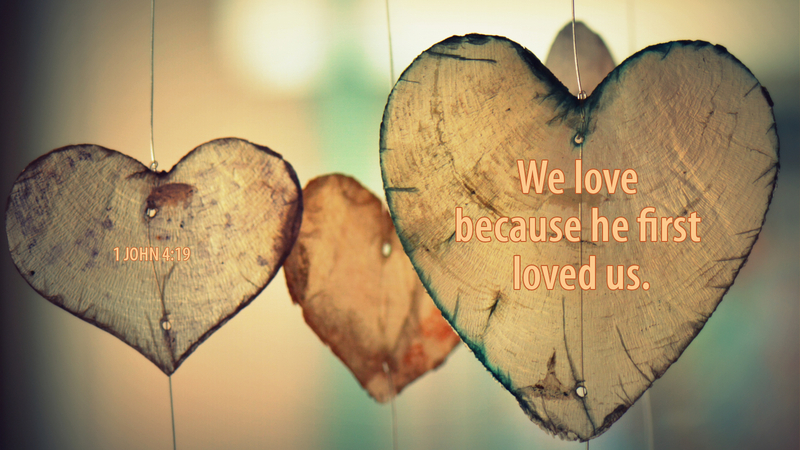 We are to love one another because God loved us. Furthermore, we are to love one another as the Father loved us in his Son—sacrificially. We cannot claim to love God without loving one another. For these are the great, inseparable commandments: love God and neighbor (Matt 22:35-40). One cannot be kept without the other; without the love of neighbor, there is no love of God. Prayer: Thank you, Father, for even loving me. Amen.